I thought she is a Ms? Anyway I now know she is not! 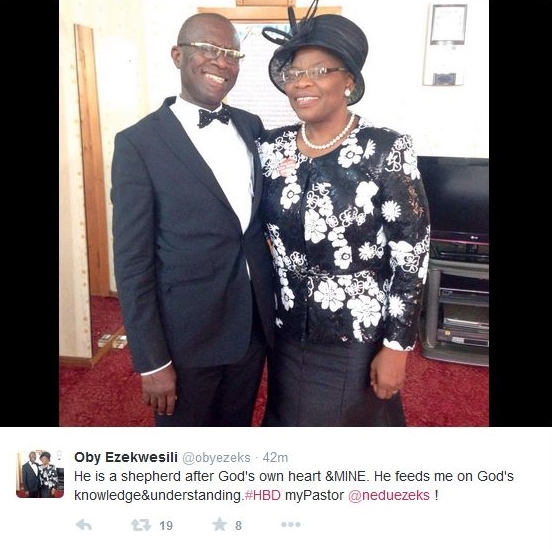 Former Minister of Education, Oby Ezekwesilitook Tweeted a few minutes ago to wish her husband Chinedu Ezekwesili a happy birthday.